STEP 1. Launch the app and click Products. STEP 2. Choose a product from the list and click its Edit button. 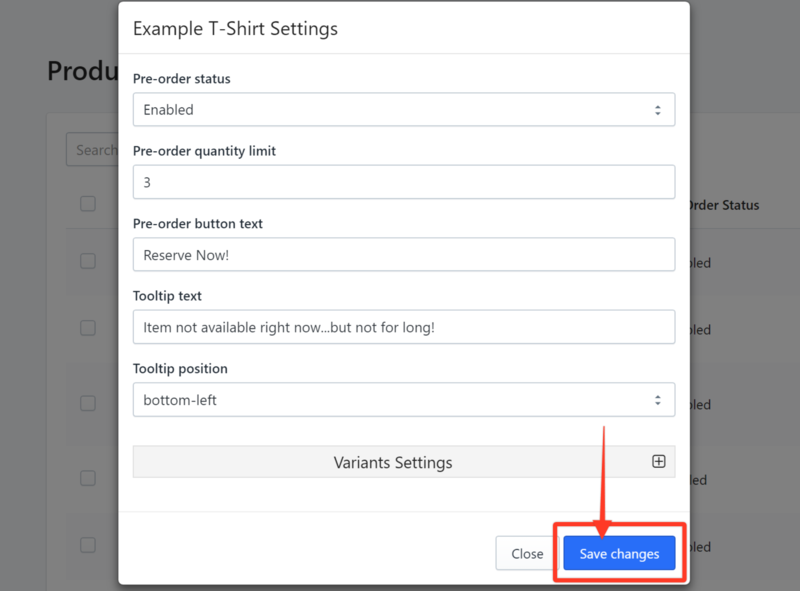 In this example, we choose the Example T-Shirt. STEP 3. 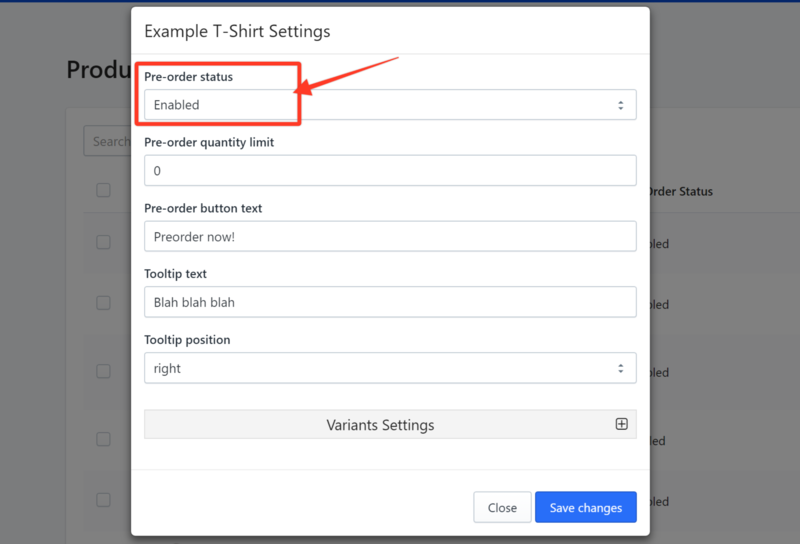 In the Example T-Shirt Settings window, click the Pre-order status up and down arrows and choose Enabled. STEP 4. 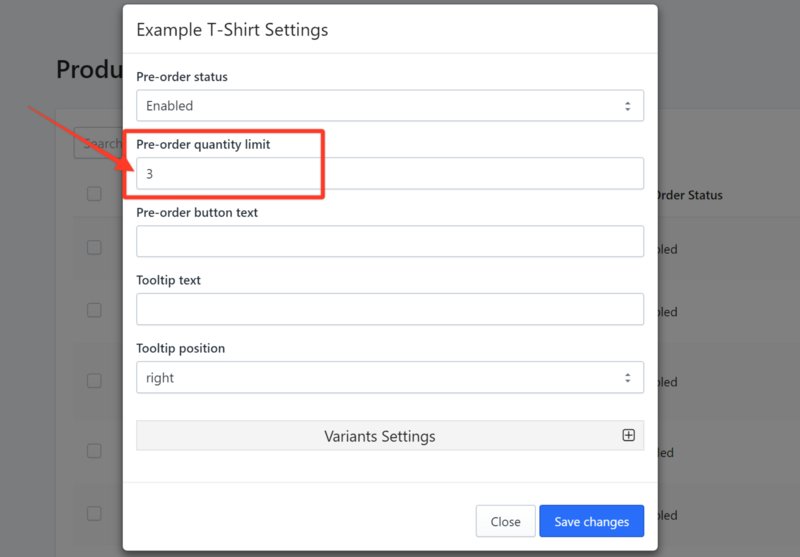 In the Pre-order quantity limit field, enter the maximum number of items that the customer can pre-order. You can also click on the up and down arrows to choose any number. In this example, we use 3. STEP 5. 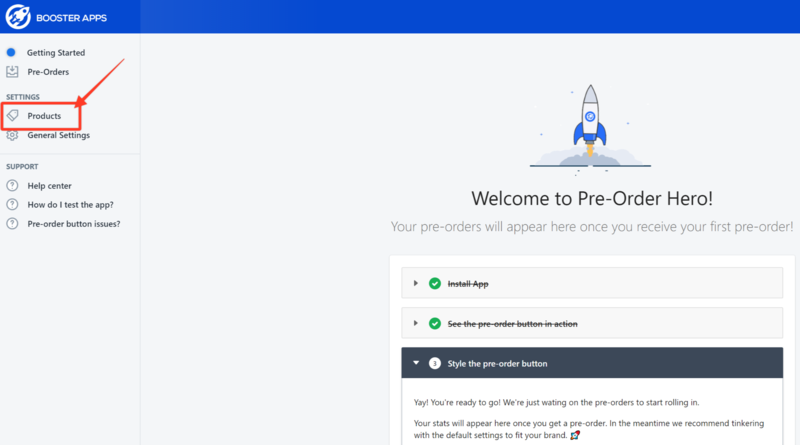 In the Pre-order button text field, enter the text that you want for the pre-order button. By default, the button says Pre-Order, but you can change it to anything that you prefer. In this example, we use Reserve Now! STEP 6. 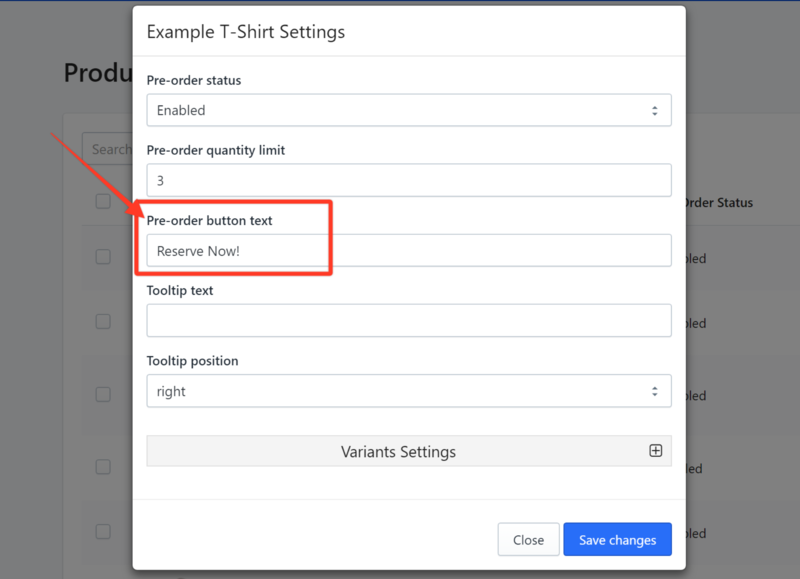 In the Tooltip text field, enter a short phrase or sentence that you want to appear each time the mouse hovers on the Pre-Order button. 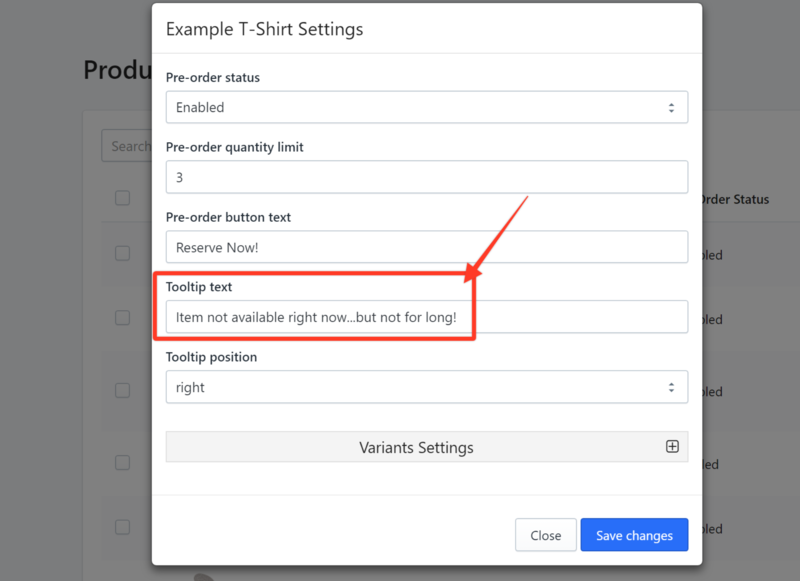 In this example, we use the phrase Item not available right now...but not for long! STEP 7. 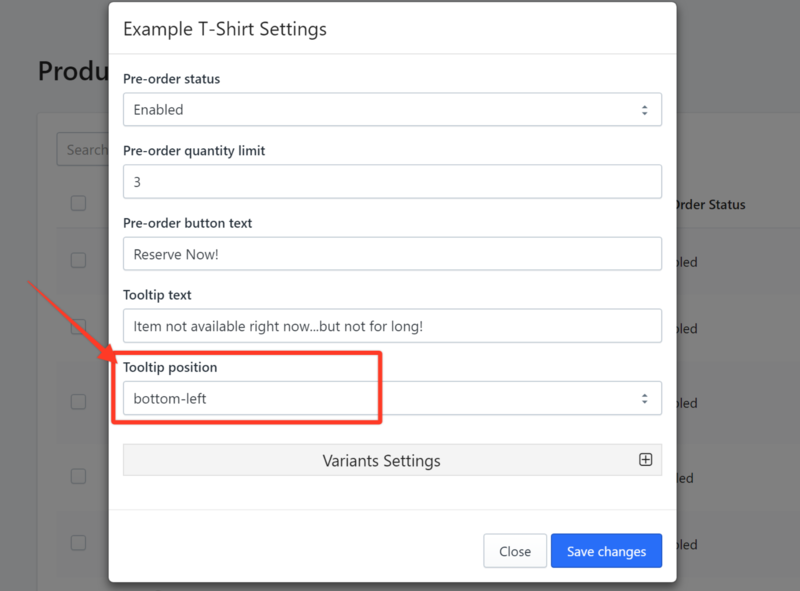 In the Tooltip position field, choose the position of the tooltip. In this example, we select bottom-left. This setting means the tooltip will appear at the lower-left of the button when you hover the mouse. STEP 8. Click Save changes.